The management and conservation of trees in a rapidly changing climate requires knowledge of both the primary climatic drivers of local adaptation and the physiological traits that differ most among populations. While long-term field experiments have been the traditional tool for generating this knowledge, the time required for these experiments is incompatible with the urgent need to develop new strategies for reforestation and restoration rather than planting local seed sources. Drawing on large-scale datasets from the AdapTree project, we have quantified seedling phenotypic and genomic population differentiation for over 250 populations of each of two widespread conifers (Pinus contorta and the species complex including Picea glauca, P. engelmannii and their hybrids), and compared results with long-term field experiments. We have analyzed genotype-environment and genotype-phenotype associations using 1) exome capture data for over one million SNPs and 23,000 genes; 2) SNP array data for over 30,000 candidate SNPS for climate adaptation; 3) phenotypic data on seedling growth phenology, cold hardiness, drought response and growth in controlled seedling common garden environments; and 4) long-term field provenance trials on multiple sites. Adaptation to climate is highly polygenic in conifers. Low winter temperatures and the length of the frost-free growing season drive strong signatures of local adaptation in cold hardiness and phenology. While population aridity is moderately correlated with genomic signatures of local adaptation, no population differences were detected in stable carbon isotope ratio or chlorophyll fluorescence following drought treatments. The relative importance of climatic variables in genotype-environment association corresponded well to those from long-term field provenance trials and from seedling experiments. Results are being used in combination with climate models to inform assisted gene flow strategies and reforestation policy in British Columbia. Sally Aitken is a Professor and Associate Dean, Research and Innovation, in the Faculty of Forestry at the University of British Columbia, and Director of the Centre for Forest Conservation Genetics. Sally obtained her PhD from the University of California, Berkeley. Her research integrates phenotypic, genomic and climatic data to understand the processes driving local adaptation in trees, and develops tools for managing and conserving tree populations in a changing climate. She has led two multi-institutional large-scale applied research projects funded by Genome Canada, AdapTree and CoAdapTree, focussed on developing genomic approaches and tools to guide reforestation and breeding for new climates. She received the Canadian Forestry Scientific Achievement Award in 2009, the International Union of Forest Research Organization's Scientific Achievement Award in 2014, was elected a Fellow of the Royal Society of Canada in 2017 and won the Genome BC Scientific Achievement Award from LifeSciences BC in 2018. 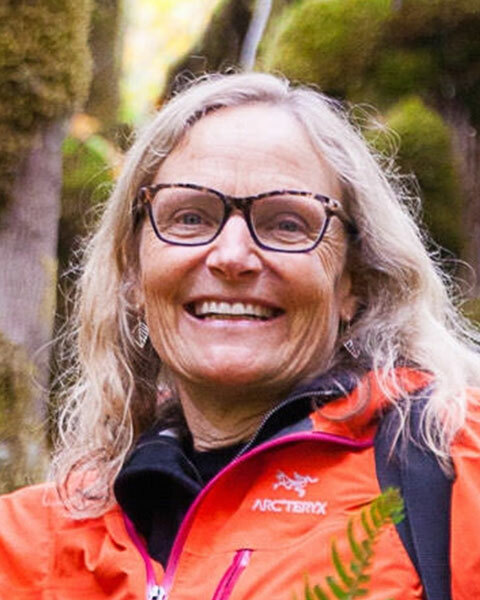 Bio: Sally Aitken is a Professor and Associate Dean, Research and Innovation, in the Faculty of Forestry at the University of British Columbia, and Director of the Centre for Forest Conservation Genetics. Sally obtained her PhD from the University of California, Berkeley. Her research integrates phenotypic, genomic and climatic data to understand the processes driving local adaptation in trees, and develops tools for managing and conserving tree populations in a changing climate. She has led two multi-institutional large-scale applied research projects funded by Genome Canada, AdapTree and CoAdapTree, focussed on developing genomic approaches and tools to guide reforestation and breeding for new climates. She received the Canadian Forestry Scientific Achievement Award in 2009, the International Union of Forest Research Organization's Scientific Achievement Award in 2014, was elected a Fellow of the Royal Society of Canada in 2017 and won the Genome BC Scientific Achievement Award from LifeSciences BC in 2018.